Anthony Chen, one of Singapore's most celebrated directors, has a special relationship to French cinema. It began when Chen's short film Ah Ma won Special Mention at the short film competition at the Cannes Film Festival in 2007. That year, Chen was also guest of honour at the French Film Festival in Singapore. Then, in 2013, his debut film 'ilo ilo' won the Camera d'Or at Cannes Film Festival. The film was inspired by one of Chen's favourite films, Francois Truffaut's 'The 400 Blows'. This year, Chen is once again guest of honour at the French Film Festival. 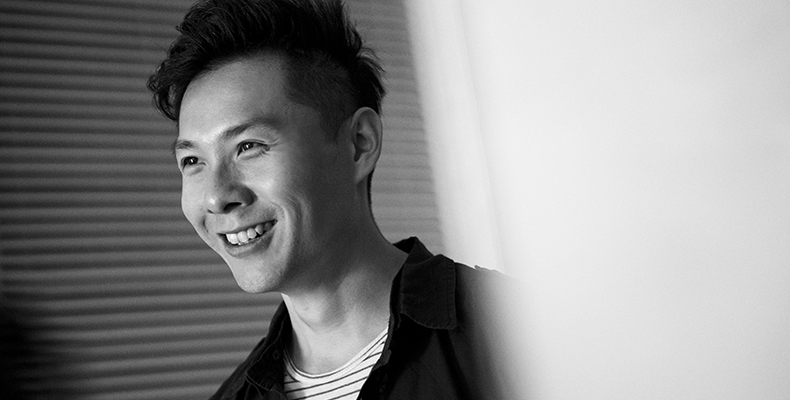 InCinemas had the privilege to interview Anthony Chen. We know that one of your favourite, if not your favourite, French films is Francois Truffaut’s 'The 400 Blows', which is one of the most popular films from the French New Wave. We are curious if there is a French film that you love which you feel is underrated and seldom seen. It's not underrated. In fact, it's critically acclaimed but I wish more people discovered it in Asia. Jacques Audiard's 'The Beat That My Heart Skipped' (2005). Such a wonderful and well-observed study of the father-son relationship. It stars Romain Duris in one of his most memorable performances. He's coming to Singapore for the Opening Film of French Film Festival and I can't wait to meet him. Which contemporary French director do you admire the most, and why? Jacques Audiard. I like the humanism in his films even though they are never straight-cut dramas. He has a real gift of subverting and blending tone and genre in a film. In light of the increasingly difficult distribution landscape and dwindling audiences for arthouse films, what is your assessment of the state of arthouse cinema today? It is challenging and sometimes depressing. Even in London where I'm based mostly now, award-winning foreign language gems might screen for just a week or two. 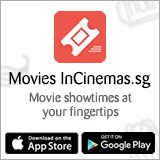 In Singapore, the multiplexes and cinema chains have totally cut back on foreign language, arthouse and independent film. I do worry for myself and also for the many talented Singapore and Southeast Asian filmmakers out there. Thankfully, every year there are a handful films that give you new hope and faith, to make you believe in the value and purpose of cinema again. This year, the three films that did that for me are Alfonso Cuaron's 'Roma', Pawel Pawlikowski's 'Cold War', and Lee Chang Dong's 'Burning'. We are seeing more and more Singaporean filmmakers collaborating with foreign co-producers. Why do you think these foreign co-producers are interested in films from such a small country? It’s not about the size of the country. Producers are constantly looking for new talent and voices, and distinctive stories that are worth telling. Singapore has so much content and potential that we can unearth, if one works hard at it. I’m so heartened that Singapore cinema is making waves outside of our shores. And I expect it to continue growing and maturing. Your upcoming film, 'Wet Season', is currently in post-production. Can you share with us what is it about and when we can expect to see it in the cinemas? I will have to keep mum about details of the film. All I can say is it's set during the monsoon season in Singapore, so the film is piling with rain. Film will probably premiere at a major festival next year before we bring it home to our shores. Finally, which film from the upcoming French Film Festival would you recommend people to watch? 'Raw' by Julia Ducournau. I was pleasantly surprised when I saw this film, even more commendable that it's the debut feature of a young filmmaker. 'Raw' is one of the smartest, subversive genre pieces I have seen in recent years. And probably one of the most original film to come out of France of late. It's kind of a "WTF" film in the best possible way, one that constantly subverts your expectations. The French Film Festival runs from 8 Nov to 18 Nov. For more information, check out the website here. Disney’s Ralph Breaks the Internet: Wreck-It Ralph 2 - 12 Sets of Movie Premiums to be won! DARK FIGURE OF CRIME - 15 Pairs of Preview Screening Tickets to be won! 'Distance’, Executive Produced by Anthony Chen, to Open for Golden Horse Film Festival 2015!